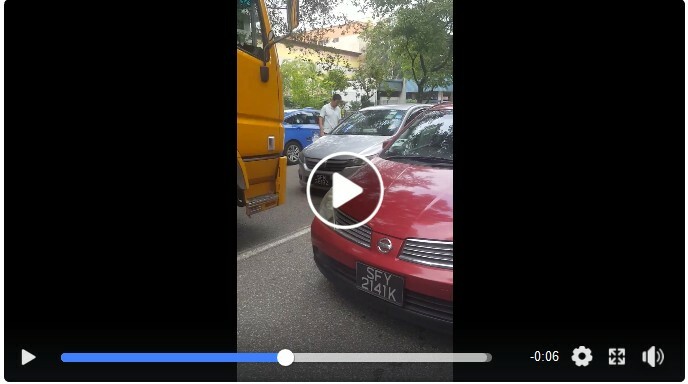 DRIVER DRIVES AGAINST TRAFFIC CAUSING JAM AND EXPECT OTHER VEHICLES TO GIVE WAY! You are at:Home»Caught In The Act»DRIVER DRIVES AGAINST TRAFFIC CAUSING JAM AND EXPECT OTHER VEHICLES TO GIVE WAY! #STKinetics driver of Honda Stream SFM3818Z stopped traffic today at Pioneer Sector 2. He is working in Tuas Naval Base He drove on the oncoming lane and expect the Trailers to give way to him. He then don’t want to move and stood there. He caused a jam on the road becase the trailers on both lanes can’t pass each other. People came nicely to him and asked him to move, he shouted at them and threatened to leave the car there and go to the coffeeshop. WHAT A BULLY !!! !.